Javier, a Sad Clown, finds work in a circus where he befriends an outlandish cast of characters, including the brutish Happy Clown, Sergio, who humiliates Javier daily in the name of entertainment. It is here that he meets Natalia, a gorgeous acrobat and abused wife of Sergio. Javier falls deeply in love with Natalia and tries to rescue her from her cruel and violent husband, unleashing Sergio's jealousy. 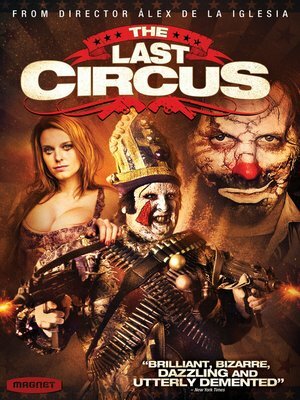 With neither man willing to back down, this twisted love triangle evolves into a ferocious battle between Sad Clown and Happy Clown, escalating to unbelievable heights in this shocking, irreverent and unforgettable film.